Pina Colada Fudge prepped in 5 minutes! 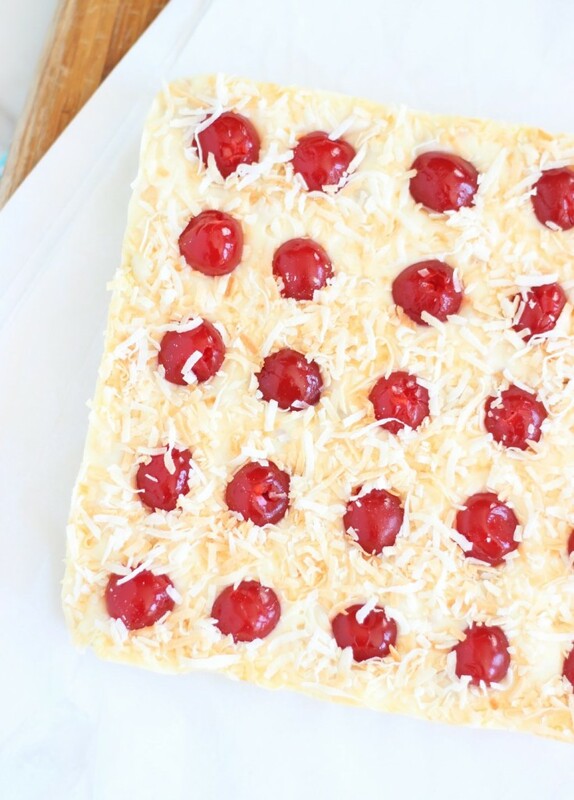 With dried pineapple chunks, coconut, maraschino cherries, and roasted macadamia nuts! It’s fabulous. 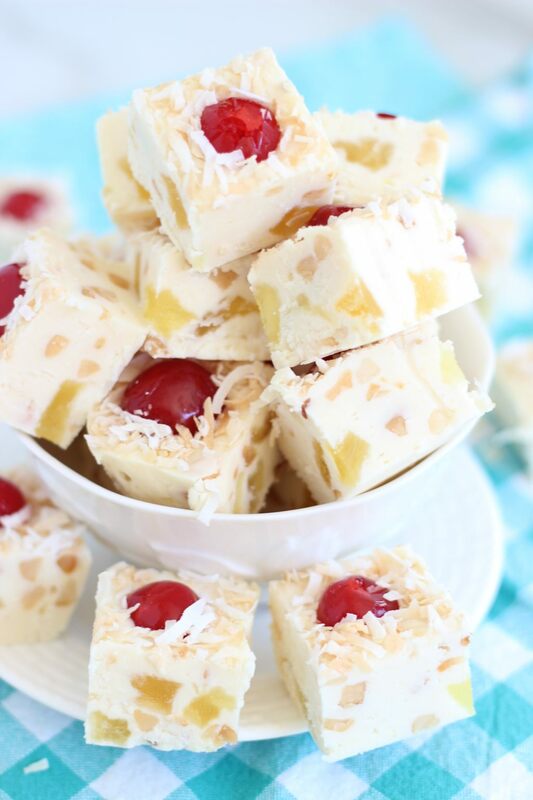 5-Minute Pina Colada Fudge inspired by a favorite summertime beverage! Of all the 5-Minute Fudge recipes on the blog, this one is my favorite. 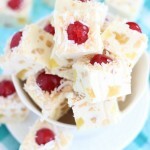 Although I have an equally GREAT one coming up in a few weeks, this 5-Minute Pina Colada Fudge is my top choice so far. 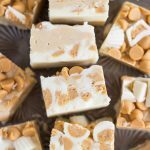 That’s really saying a lot since you would think my favorite would be this 5-Minute Peanut Butter Cup Fudge, being such a peanut butter junkie and all. Just to be clear, you seriously only need about 5 minutes to prep this fudge. Maybe 10, if you are the kind of person that tends to dilly-dally. 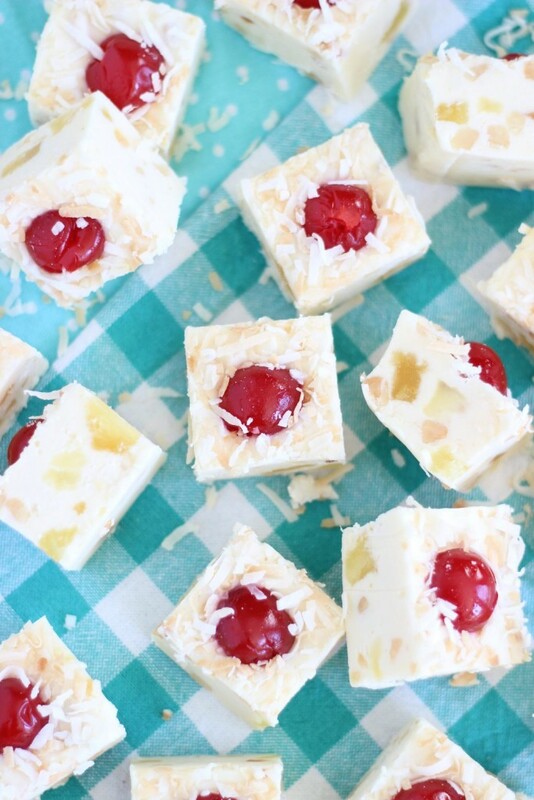 With a little focus, you can make this 5-Minute Pina Colada Fudge in under 300 seconds though. It does have to set, and that takes about 15-20 minutes, but even less if you stick it in the fridge. Does that make this ‘5-Minute’ title a little deceiving? 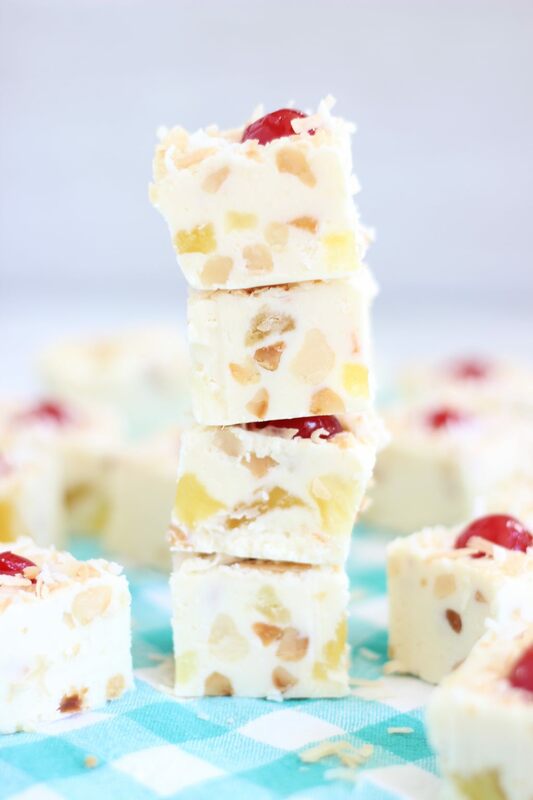 Either way, this 5-Minute Pina Colada Fudge is one of the fastest dessert recipes you can find, and you only need a bowl and a microwave. I initially set out to make a pineapple upside-down cake-inspired fudge, and then I just got carried away with adding ingredients. It quickly morphed into a Pina Colada fudge recipe… and you know that process happened very quickly because I made this in under 5 minutes. 🙂 The recipe took a turn, and it paid off. It’s amazing. I started this fudge in the same fashion as all the other 5-Minute versions: prepared frosting and chocolate chips. In this case, cream cheese frosting and white chocolate chips. Simple flavor, sweet, and creamy. Just how a pina colada should be. I added a little rum extract, and it enhances the other flavors, without being over-powering. I don’t like a ton of rum, or for things to be super ‘rummy’. Just a little was perfect. 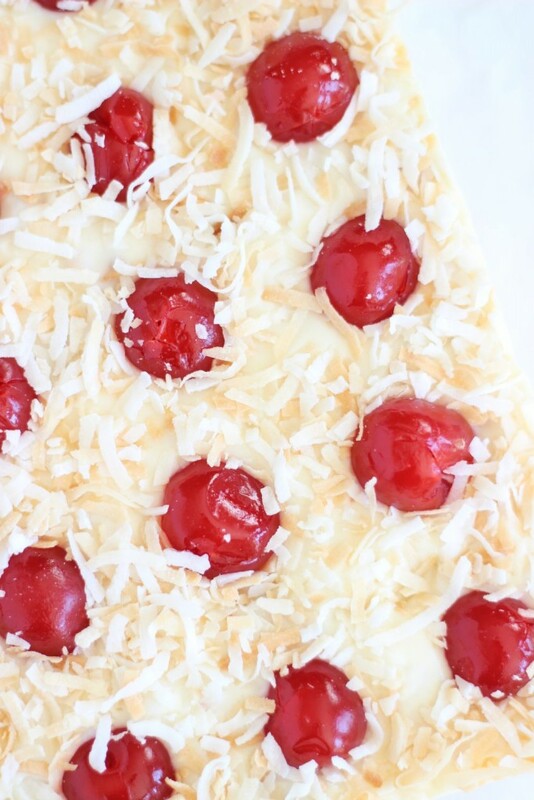 Between all the shredded coconut, white chocolate chips, dried pineapple, and maraschino cherries, there’s a lot of very saccharine items in this fudge. I added roasted and salted macadamia nuts, and it was really nice how the salt cut through all the sweetness! They also added some crunch. Soooo… no, macadamia nuts don’t really have a place in pina coladas as a beverage, but they were a total delight in this fudge! The best part is definitely the maraschino cherry in the center of each piece. Nice touch, huh? The flavors of this 5-Minute Pina Colada Fudge were giving me all kinds of summer vibes! 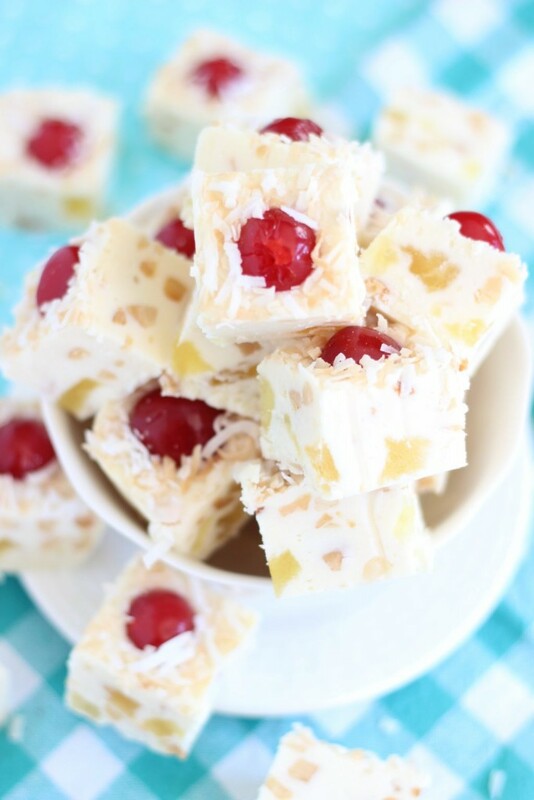 Pina Colada Fudge prepped in 5 minutes! 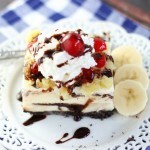 With dried pineapple chunks, coconut, maraschino cherries, and roasted macadamia nuts! It's fabulous. 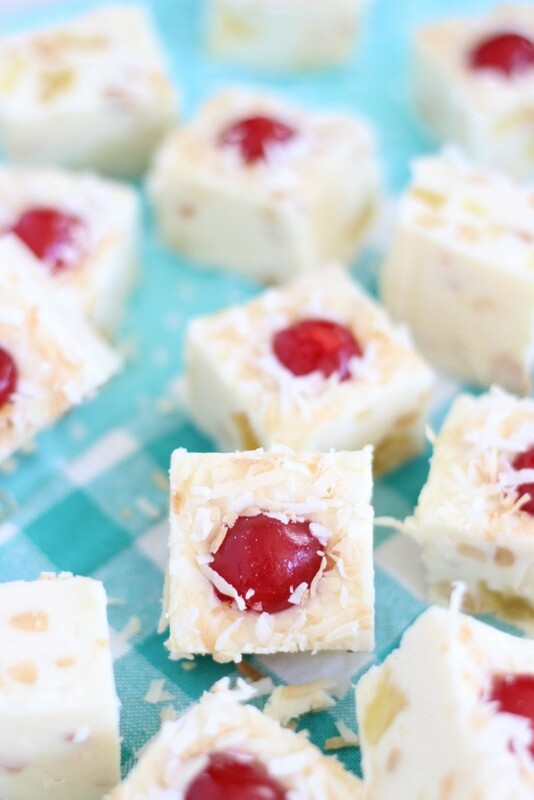 5-Minute Pina Colada Fudge inspired by a favorite summertime beverage! Stir in the rum extract, dried pineapple, and macadamia nuts. Working quickly, press maraschino cherries into the fudge in 5 even rows of 5 cherries. When you cut the fudge 5x5, each will have a cherry in the center. 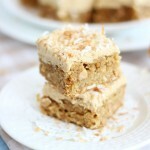 Sprinkle the fudge with toasted coconut, and lightly press down so it adheres. Allow to set at room temperature for about an hour, or 15-20 minutes in the refrigerator. Me too! It’s my go-to fudge recipe these days! oh gosh, these look amazing! I love how they look almost mosaic-like when cut! What a unique and lish looking dessert bar! 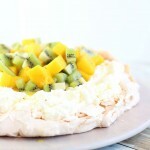 Pinned it and can’t wait to try it! Thanks! Oh, these looks absolutely stunning! 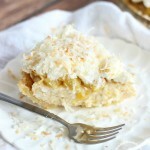 Love the tropical flavors in a classic recipe! Sarah this is such a great idea. I love macadamia nuts. Sometimes your upside down cake just wants to be a piña colada and who are we not to honor that, right? Thanks for bringing this treat to #SaucySaturdays. Hahaha! That’s true. It morphed quickly into something else, and I’m not hatin’ it! Thank you!